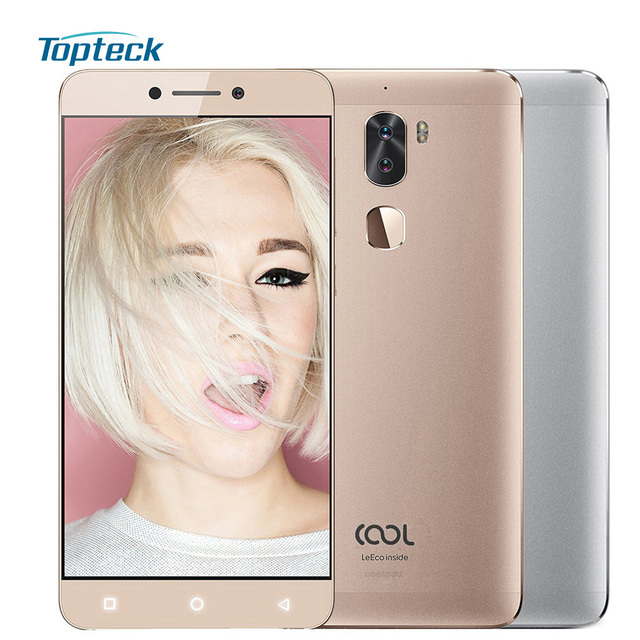 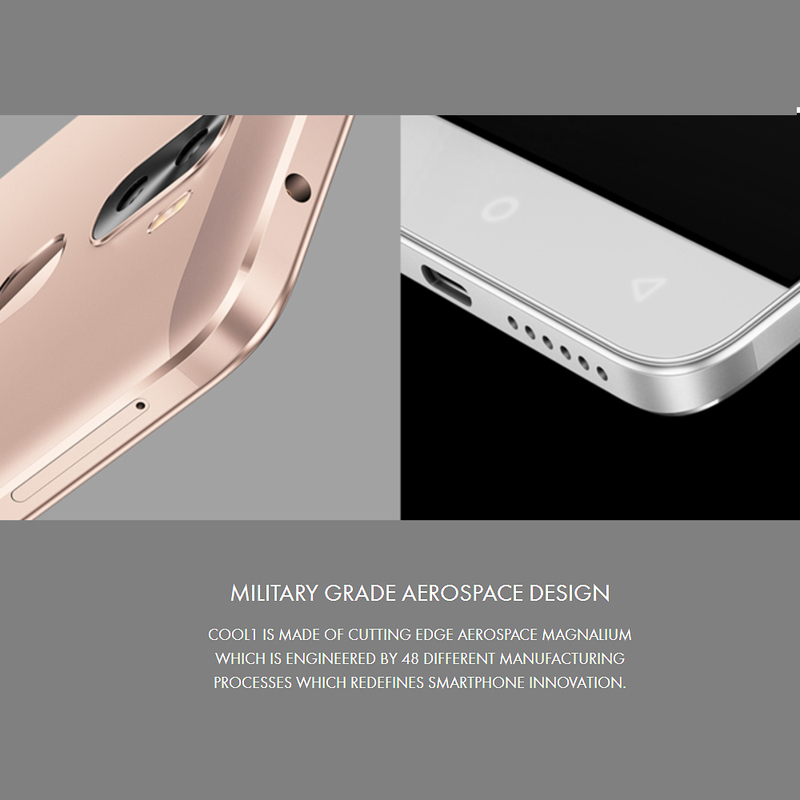 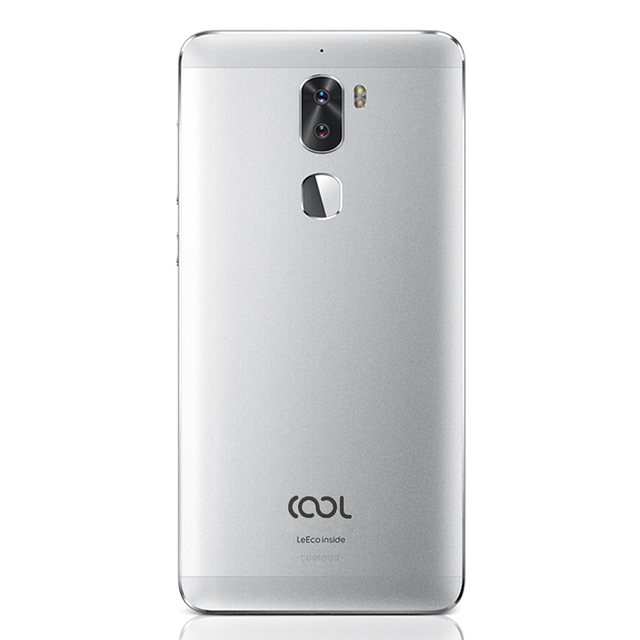 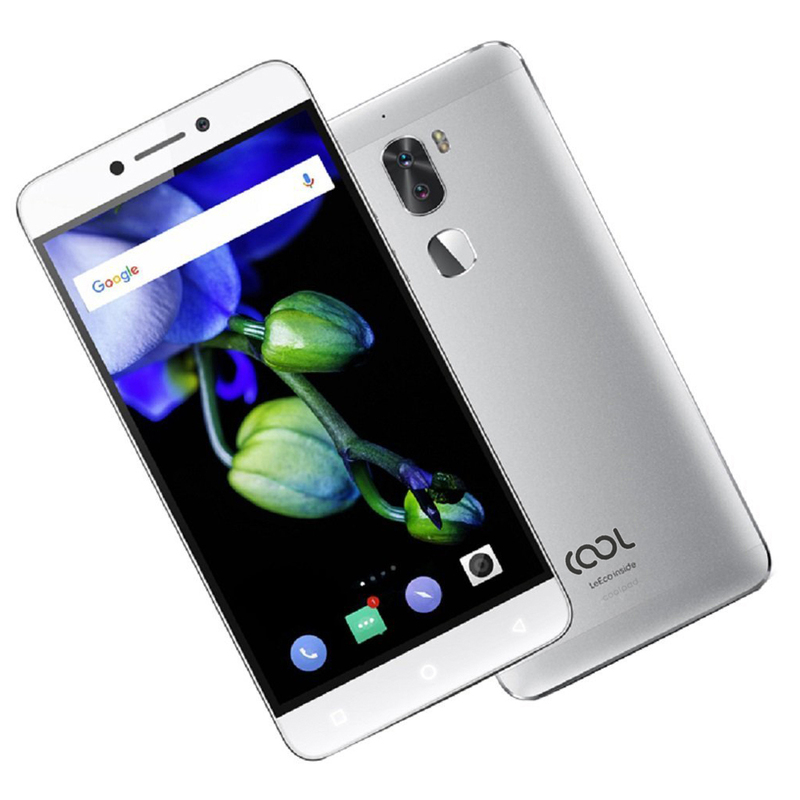 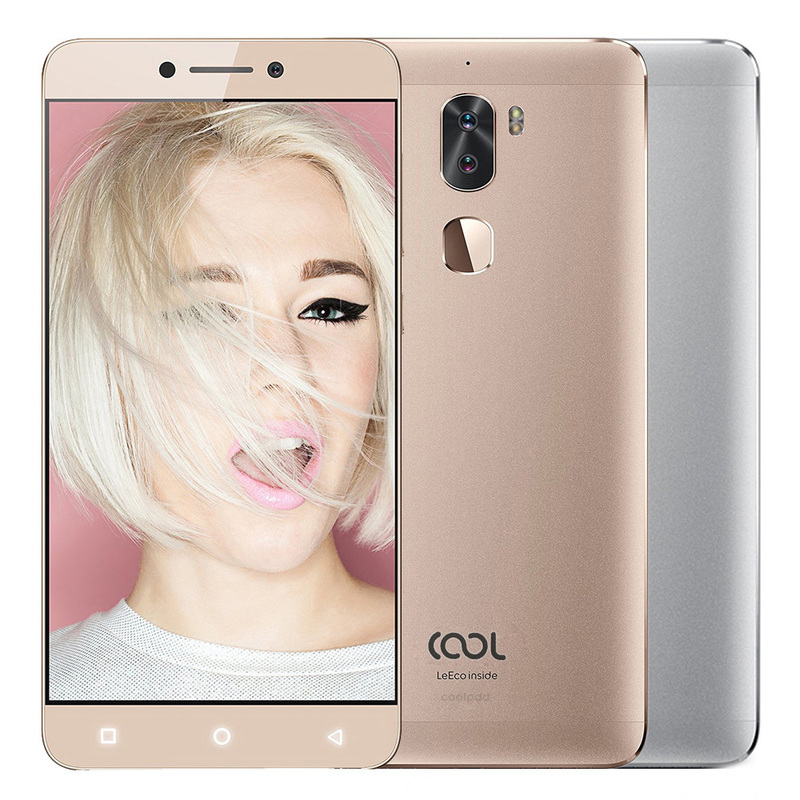 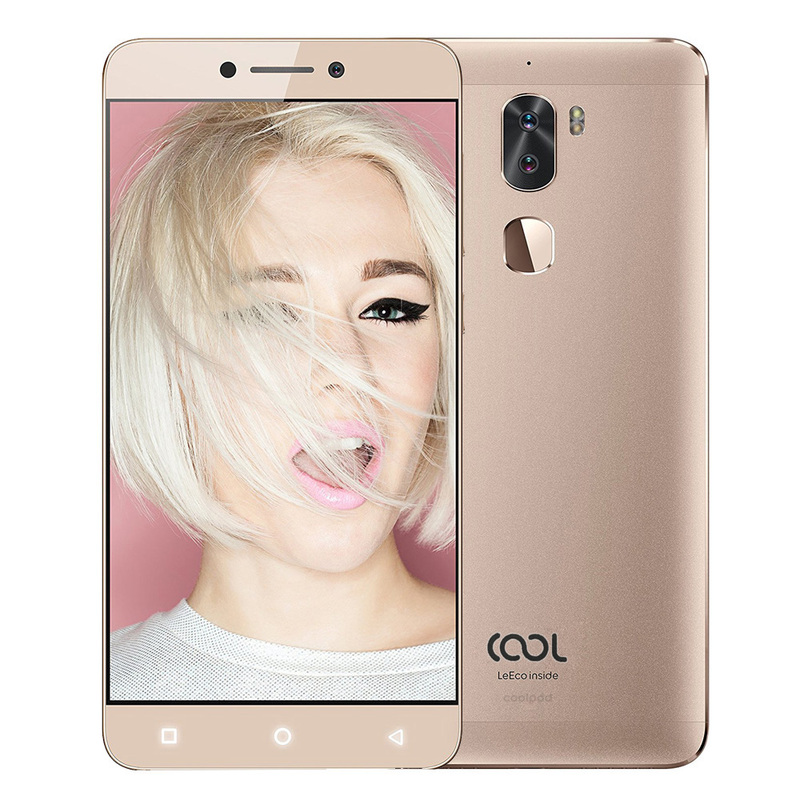 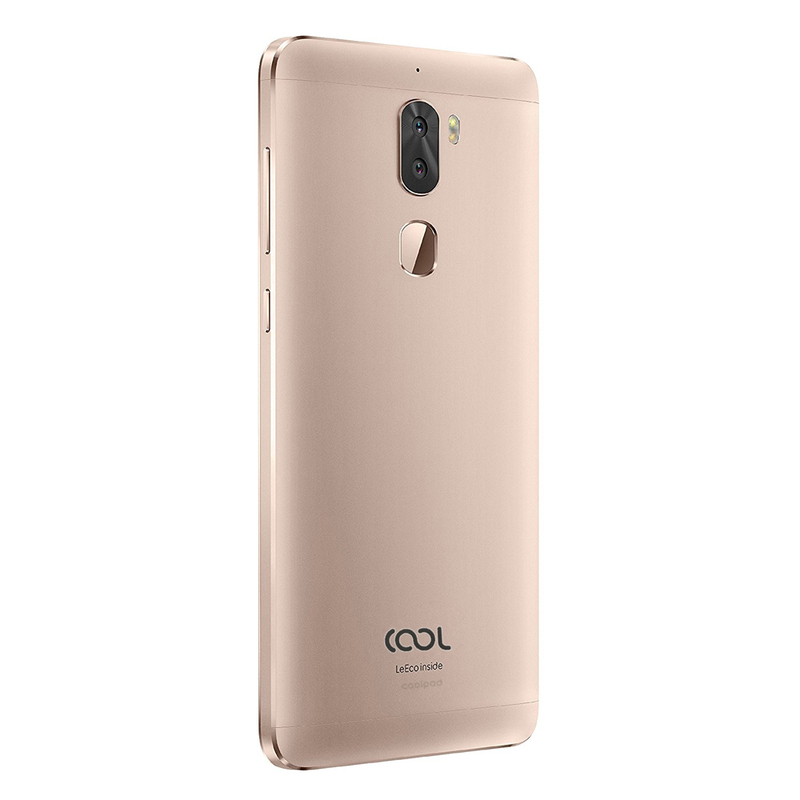 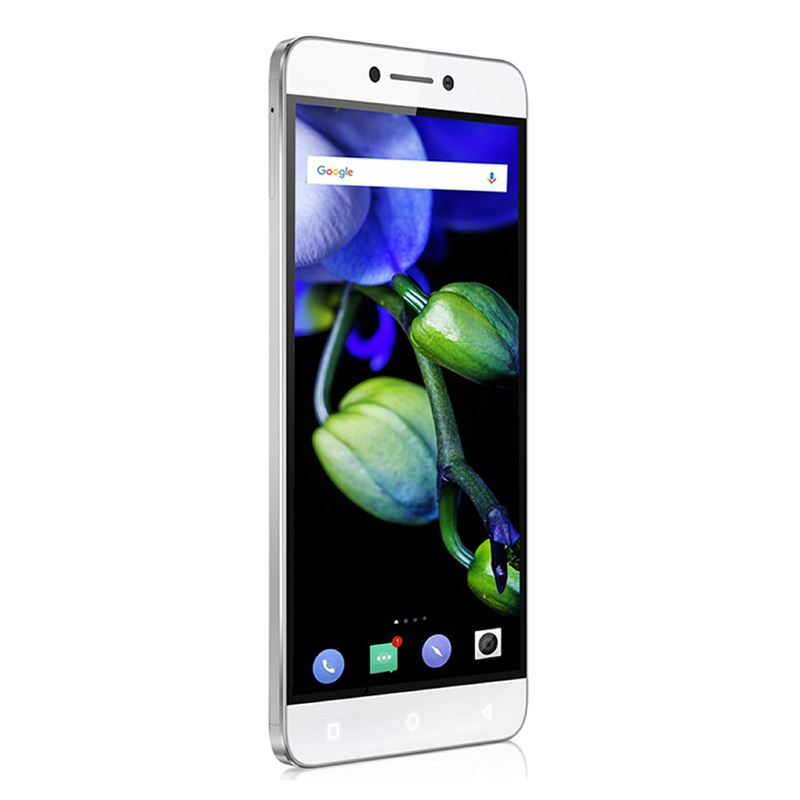 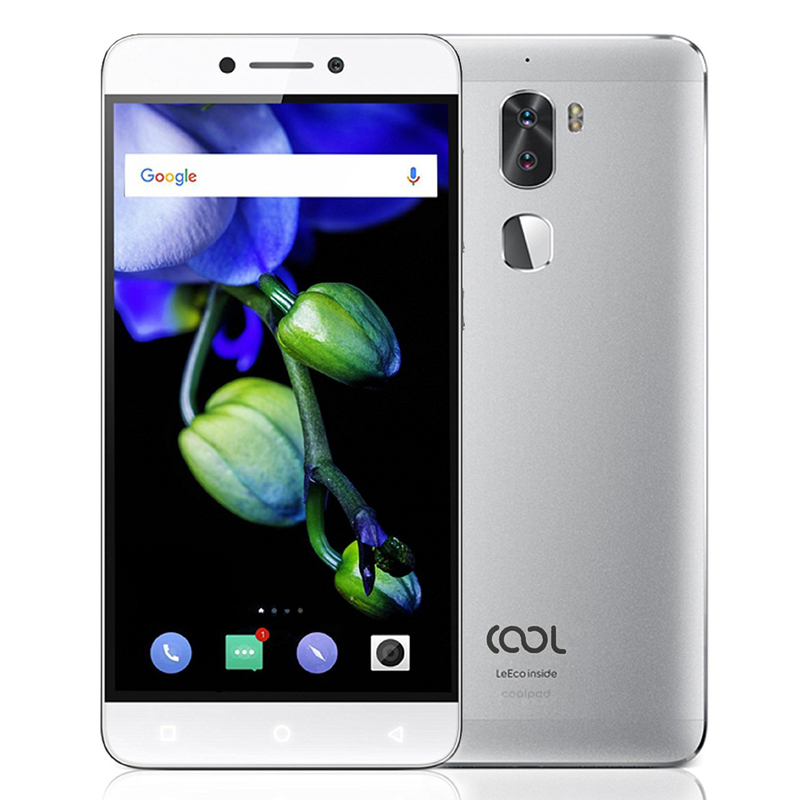 This Coolpad Cool 1 mobile phone features a exquisite and stylish appearance, made of high-quality metal material, durable and solid, smooth hand hold feeling, Coolpad Cool 1 will shinning on your hand. 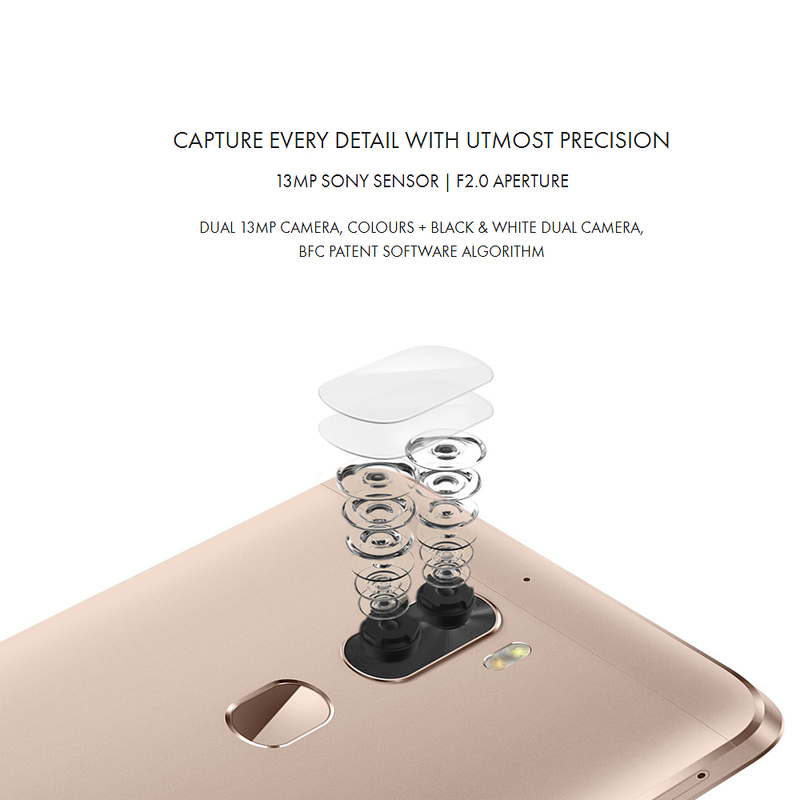 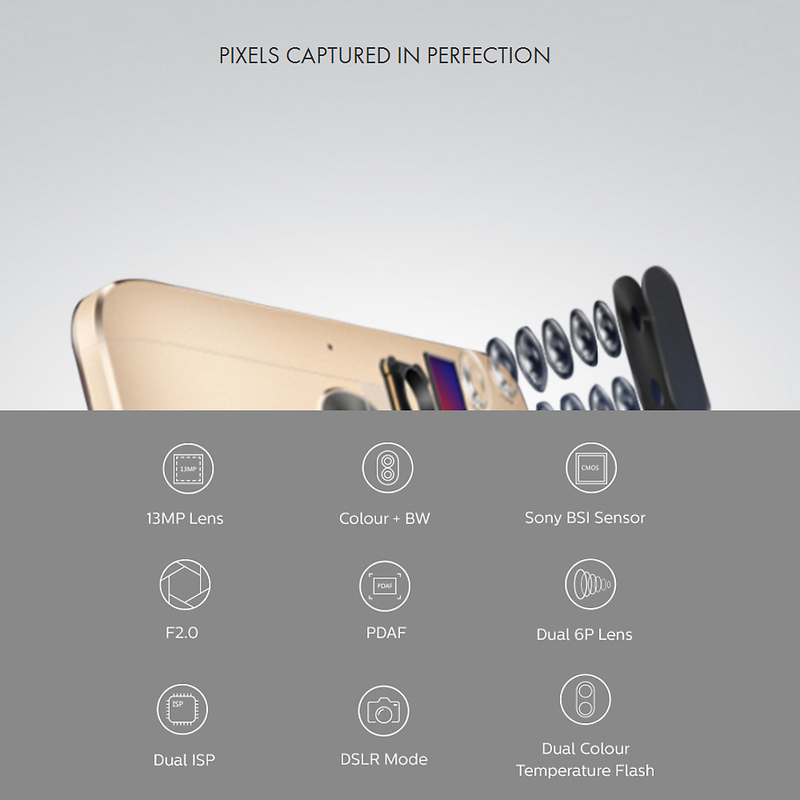 With 13MP dual cameras, capture every detail with utmost precision. 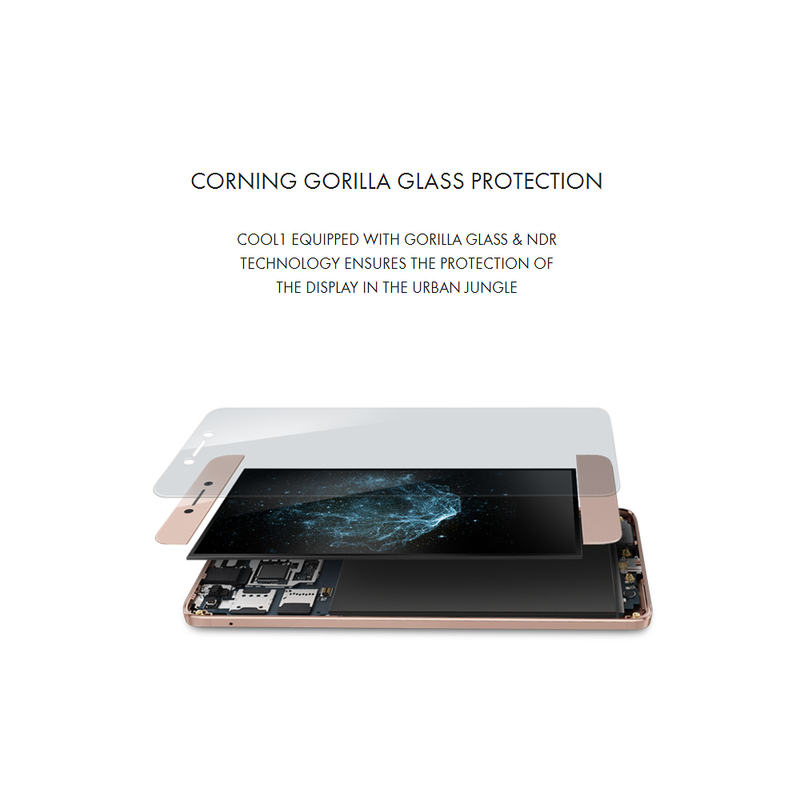 General Design: Elegant and stylish looking, high-quality metal material combined with exquisite workmanship, gives unparalleled hand hold feelin 5.5-Inch Display: 5.5-inch 1920 x 1080 pixels FHD screen, delives crisp amd vivid media, brings every pixel to life; Corning gorillas glass and NDR technology ensure the protection of the display in the urban jungle. 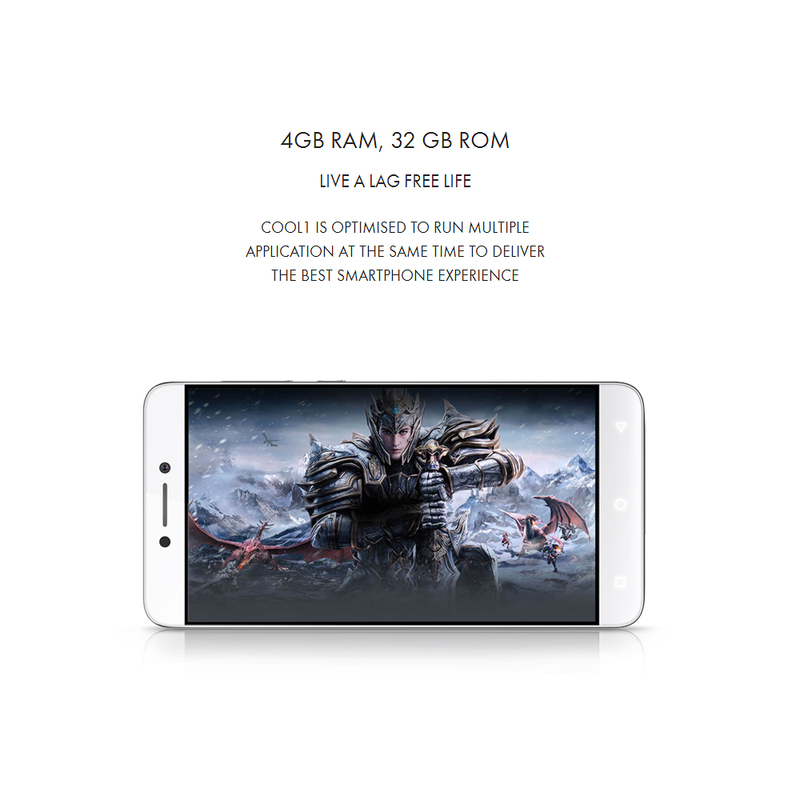 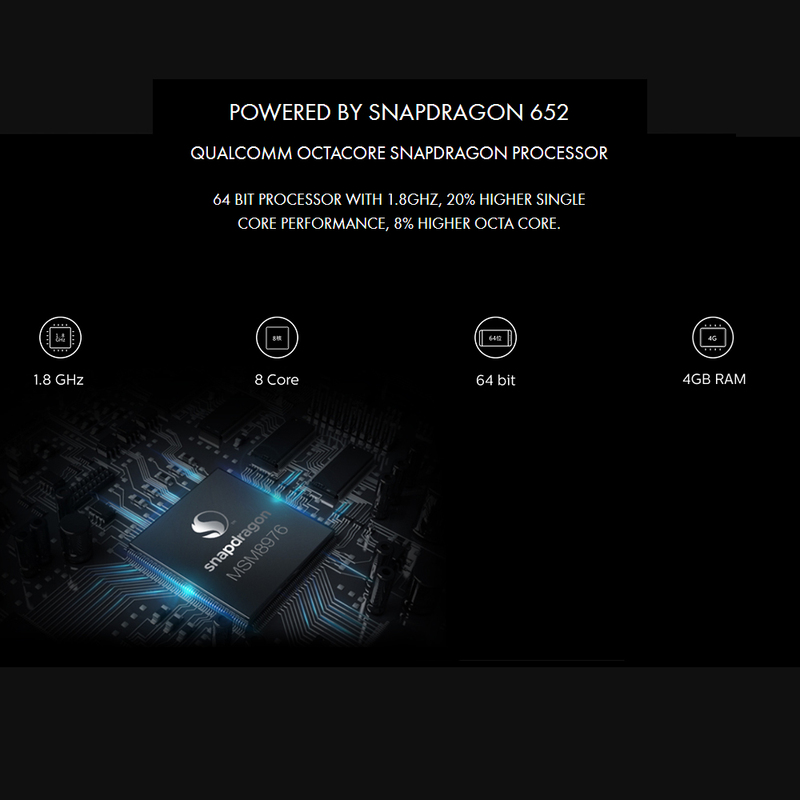 Great Performance: Snapdragon 652 Octa-core, 4GB RAM 32GB ROM, your Coolpad Cool 1 can operates smoothly, good for playing games and watching movies. 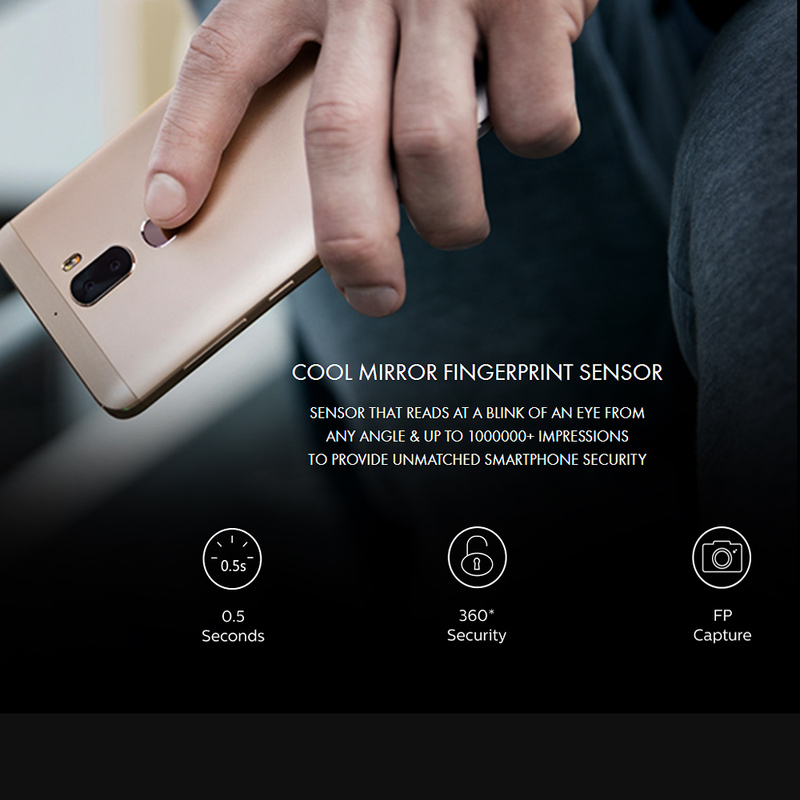 Mirror Fingerprint Sensor: Back fingerprint sensor, quick unlock, safe and convenient, protects your personal phone world. 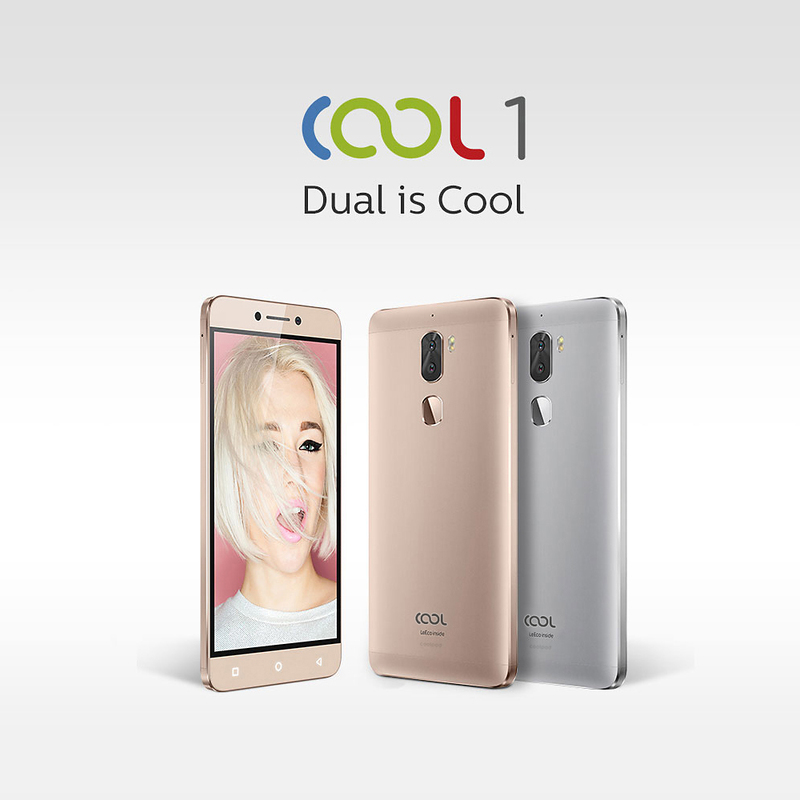 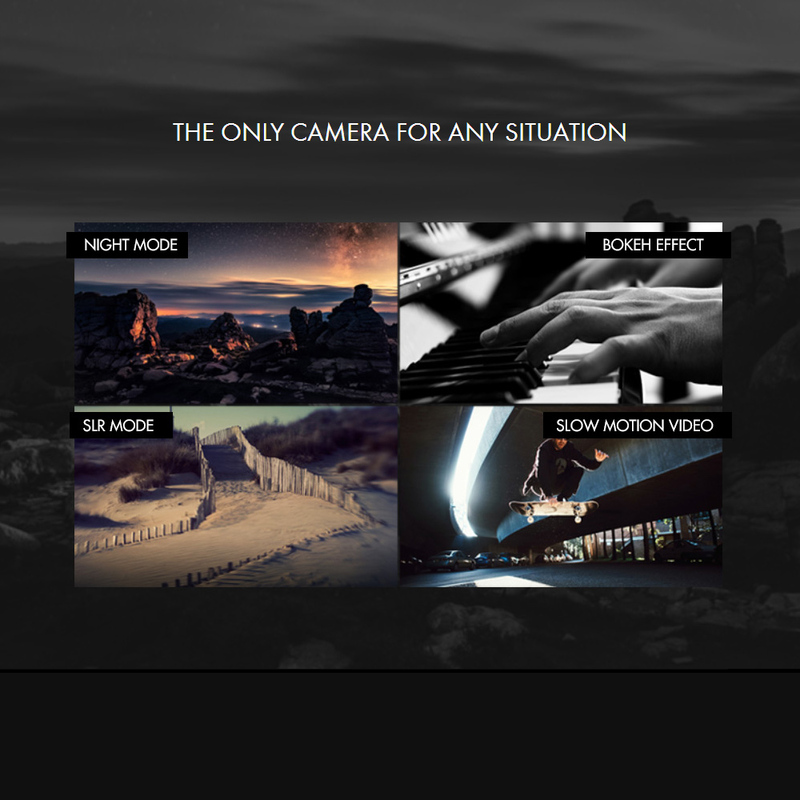 Dual 13MP Camera: Gives you vivid and colorful pictires, your life recordings will be more exquisite and precious. 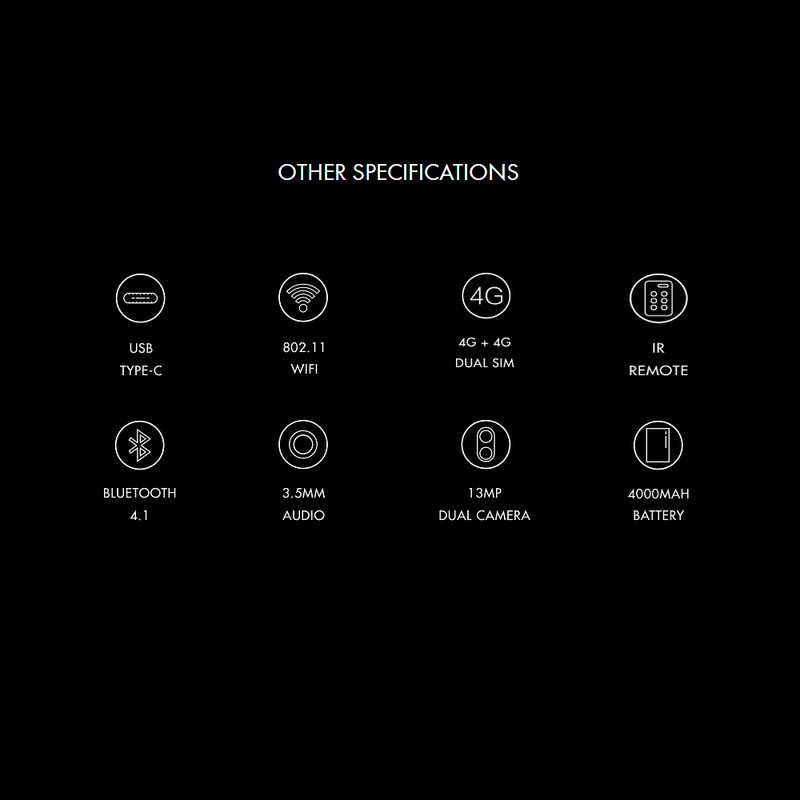 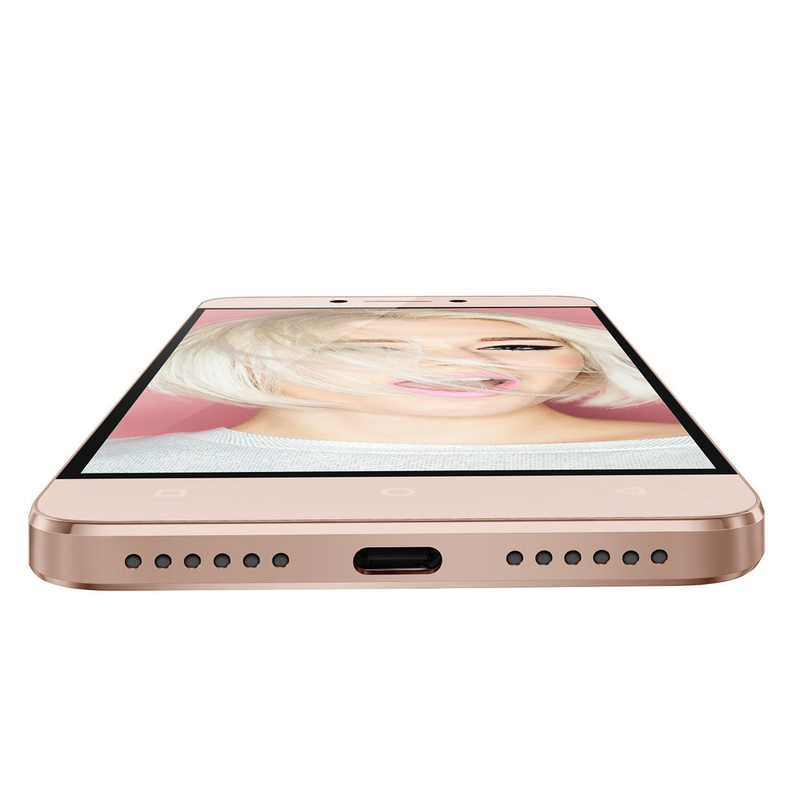 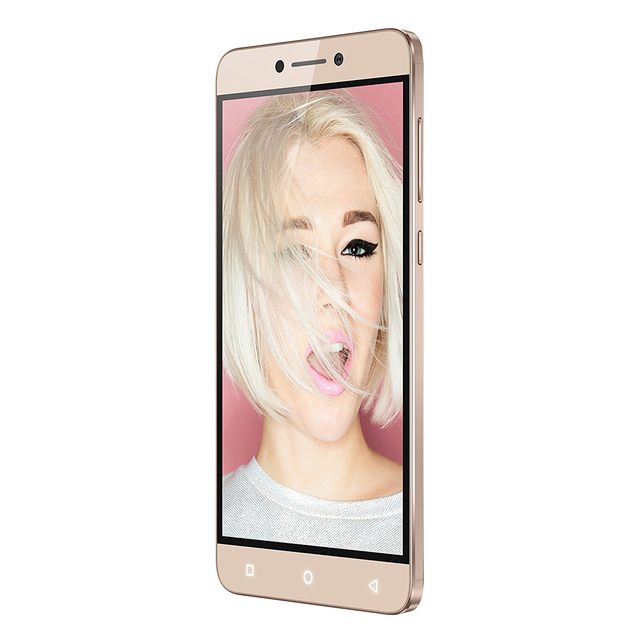 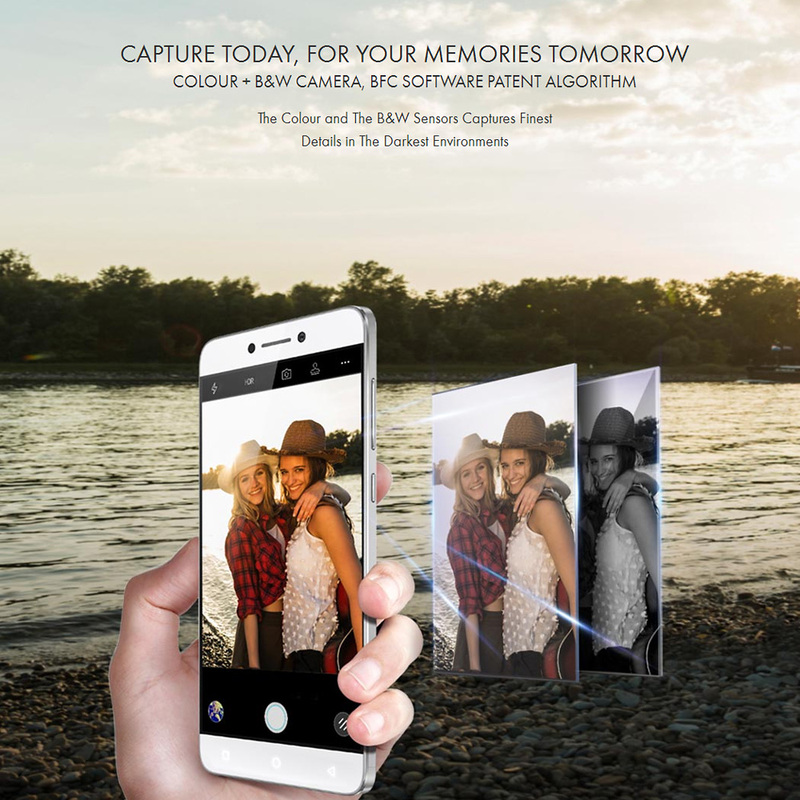 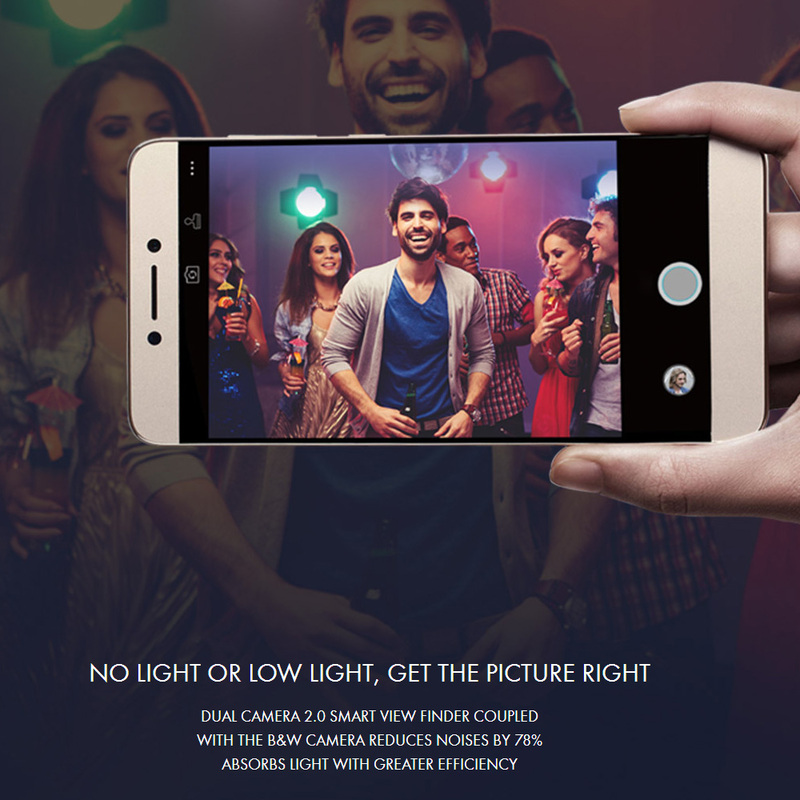 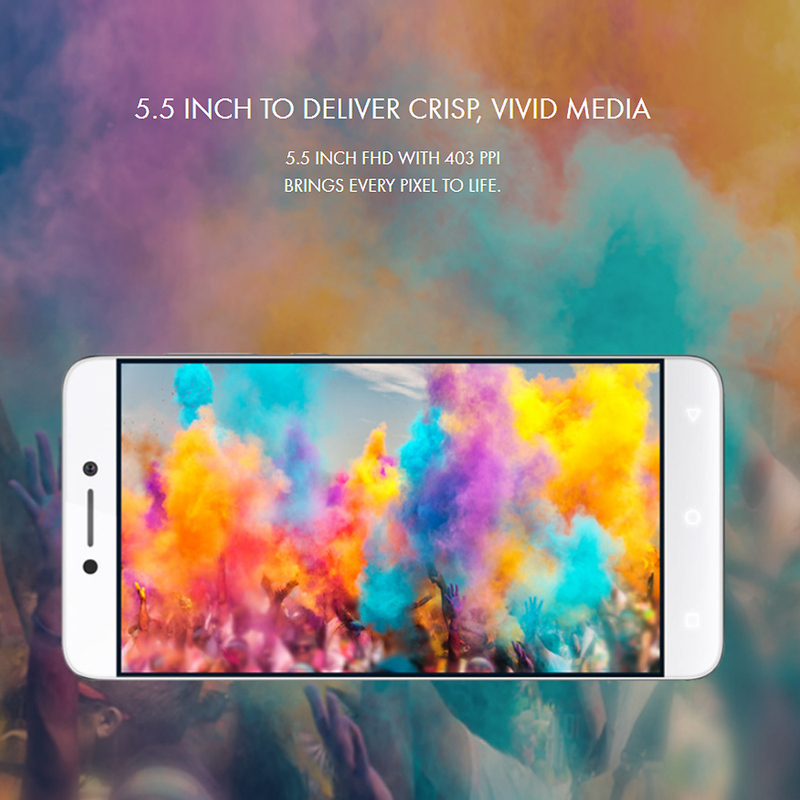 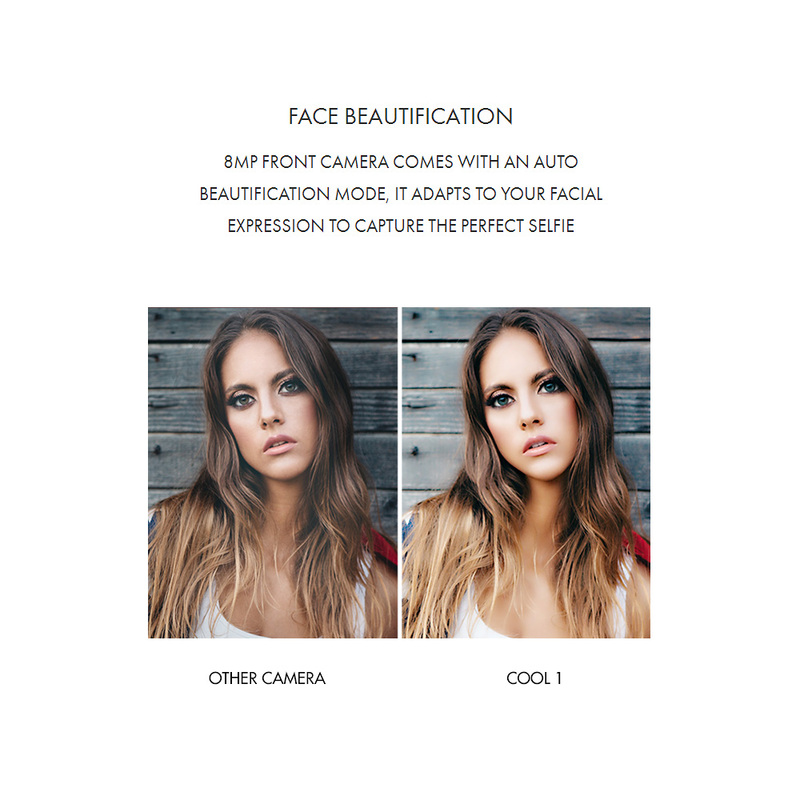 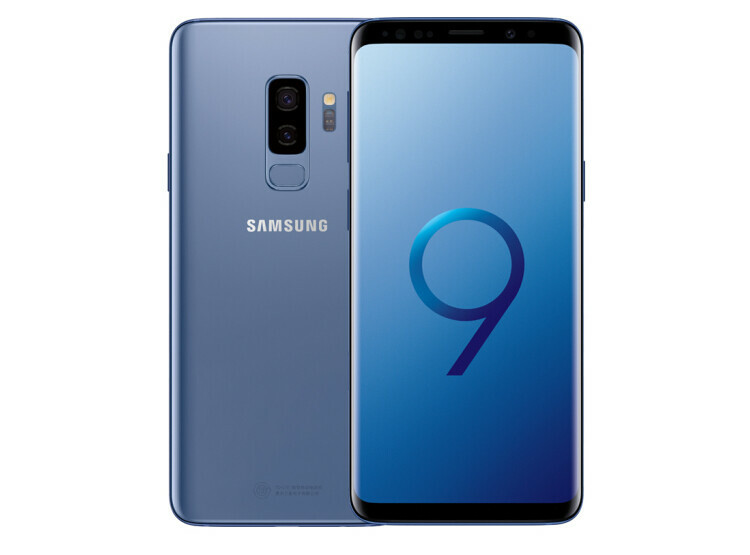 8MP Front Camera With Face Beautification: 8MP front camera comes with an auto beautification mode, it adapts to your facial expression to capture the perfect selfie. 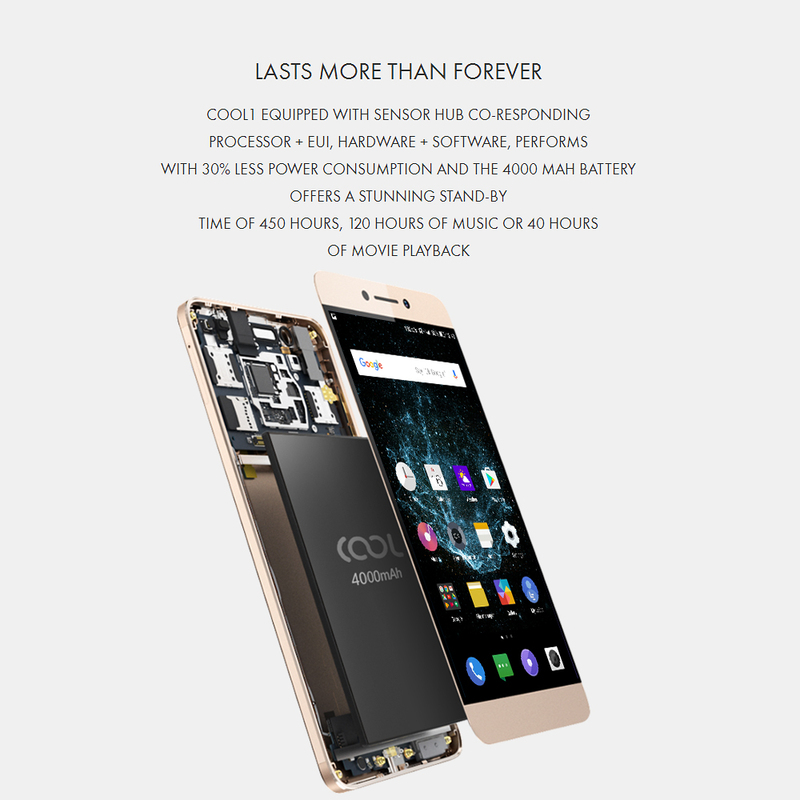 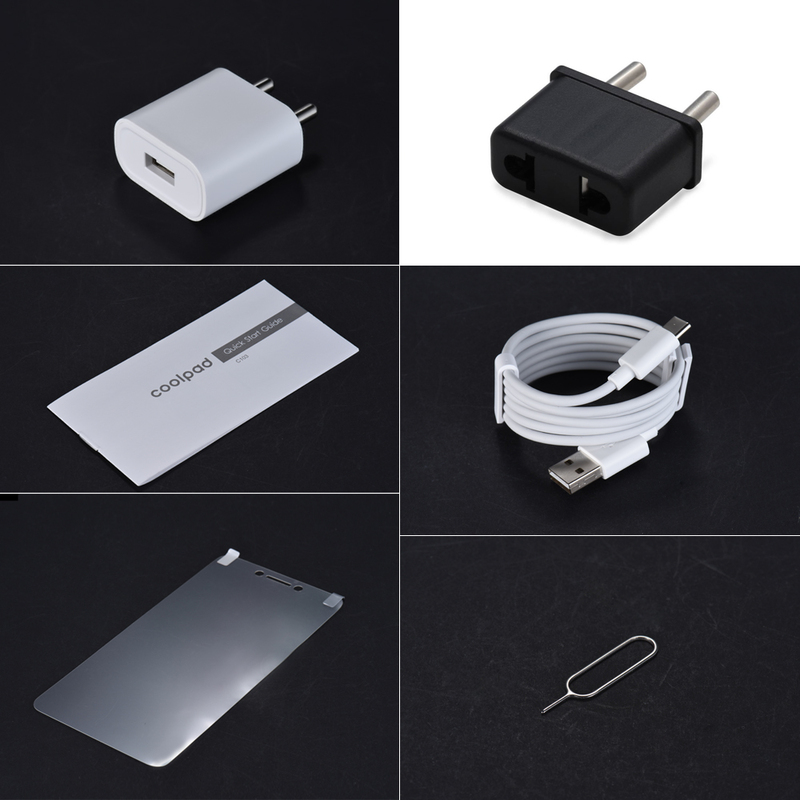 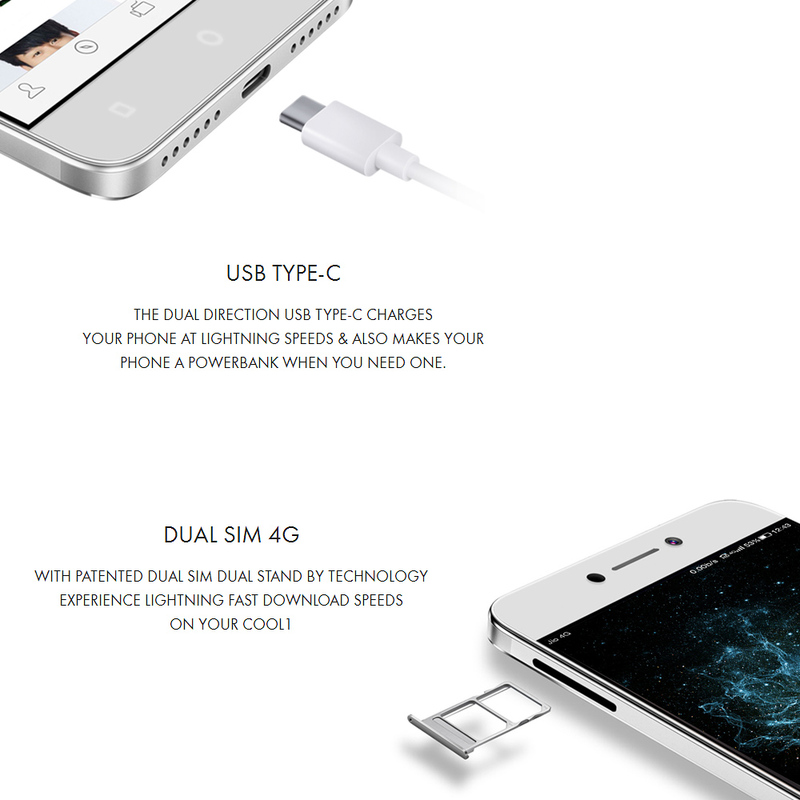 4000mAh Battery: features 4000mAh big battery, provides you enough power for a whole day.